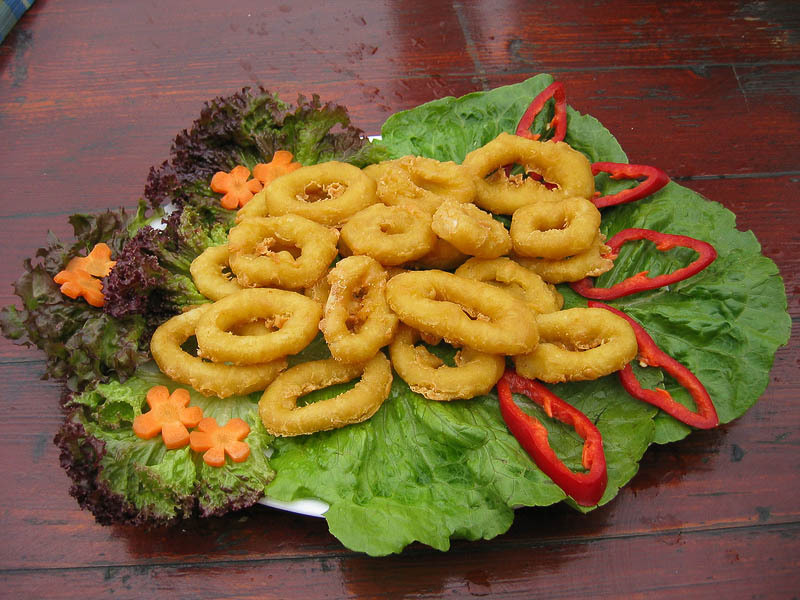 Served in restaurant portion of breaded squid circles beautiful arranged on fresh lettuce leafs, ornate with slices of carrot and red pepper. Prepared tasty and crunchy seafood. Ocean food.